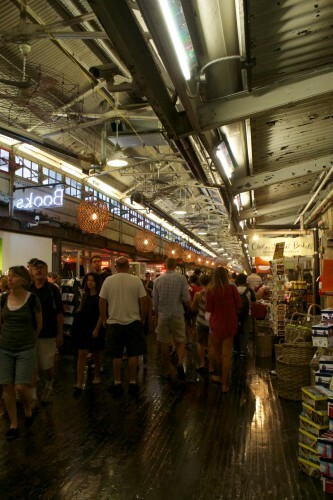 One of our favorite activities during our trip to New York was visiting the High Line and the Cheslea Market. Both were overcrowded, but very enjoyable, especially after a satisfying brunch. 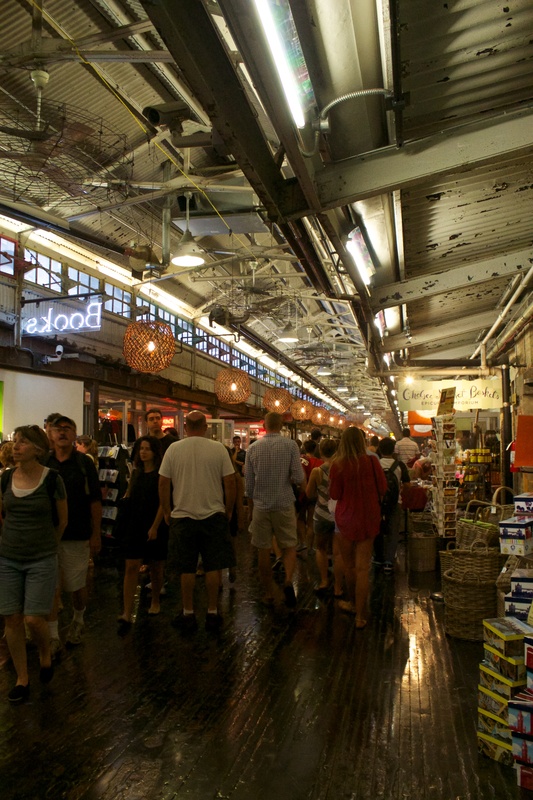 The Chelsea Market reminded me a bit of what an expanded Ferry Building (in San Francisco) might look like – the same sort of feel and idea, but a lot more people and more shops and restaurants. To avoid the hordes of people and satisfy our wine addiction, we stopped into a wine shop, Chelsea Wine Vault, to explore. 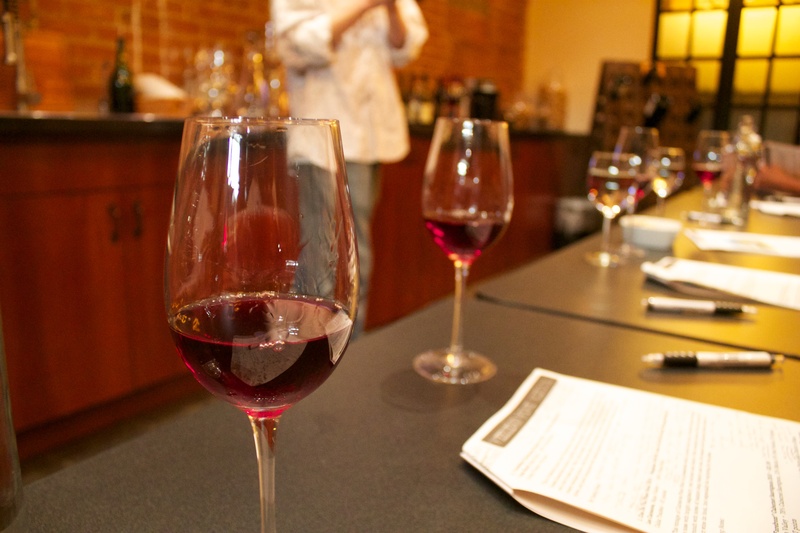 Once there, we learned about a weekend “wine school class” they offer: each weekend features four wine from a specific region (it changes each weekend), and the class is taught by a sommelier. It just so happens that our wines were all from Napa Valley – somewhere all four of us had been. Since none of us had ever done anything quite like this, and because a little wine in the afternoon sounded delightful, we paid the $20/person and waited for the class to start. I’m so glad we took the class. Not only did we try fantastic wines (my favorite was the 2010 Pine Ridge “Forefront” Cabernet Sauvignon – I left with a bottle and plan to visit the winery next time we’re in Napa), but we learned a lot about what to look for when tasting wines and evaluating wines. 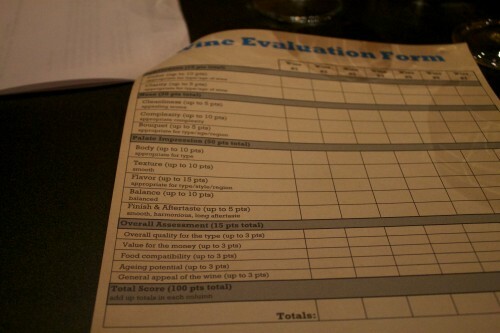 We even had an official “Wine Evaluation Form” in our packet, which helps explain what “90+ points” means for a wine. One fun fact we learned is that when wines are evaluated, they are only compared to wines of the same varietal, from the same region, and within the same price range. Our sommelier was David Hunter, who personally tastes and buys all of the wine sold at the Chelsea Wine Vault. He was funny and full of information – the hour-long class flew by and we were wishing it was longer. We went through each section of the evaluation form, and I’d love to pass along some of the information we learned (a brief overview). 1. Appearance (15 points) – color and clarity: hold your wine glass at a 45° angle against a white piece of paper to judge the color and clarity. Is the color consistent all the way through? Is it cloudy, chunky, hazy, or clear? 2. Nose (20 points) – cleanliness, complexity and bouquet: is the aroma appealing? Or does it “hurt” you (think of smelling vodka)? Does it smell like cheap perfume, is it too fruity, or does it have no smell? The complexity – how many aromas can you identify? Are there multiple layers? And finally, the bouquet is how the aromas come together – the overall smell. 3. Palate Impression (50 points) – body, texture, flavor, balance, and finish & aftertaste – how heavy does the wine feel on your tongue? Is the texture smooth, does it “hurt” you (again, think about taking a shot of vodka), is it acidic (does it make your mouth water)? Is each element balanced without one taking over (for example, not too sweet or too acidic)? How long does the aftertaste stay in your mouth? If it’s under 30 seconds, it’s simple, if it’s between 30 seconds and one minute it’s medium, and if it’s over a minute, it’s complex. 4. Overall Assessment (15 points) – overall quality, value for your money, food compatibility, aging potential, and general appeal of the wine – is the wine good for the money? What is the aging potential (he let us know that this would be a hard one for us to judge)? And finally, David left us with the most important piece of information: in order to store wine properly, the bottles should be left on their side at 55° F (this we have been following since we started using a wine cooler) and kept in a humid area. The humidity part is where we failed, but luckily it’s easy enough to fix: just place a damp sponge in the cooler and change it out every month. While we are likely okay without the added humidity for most of our wines, this tip may save the bottles of Brunello di Montalcino that we brought back from Italy and plan to store for over 10-15 years. Thank you, David! The class was enjoyable and informative, and a great way to escape the afternoon heat! This entry was posted in Food, Things To Do and tagged New York, New York City 2013 Trip, United States, wine tasting by Kristin. Bookmark the permalink.